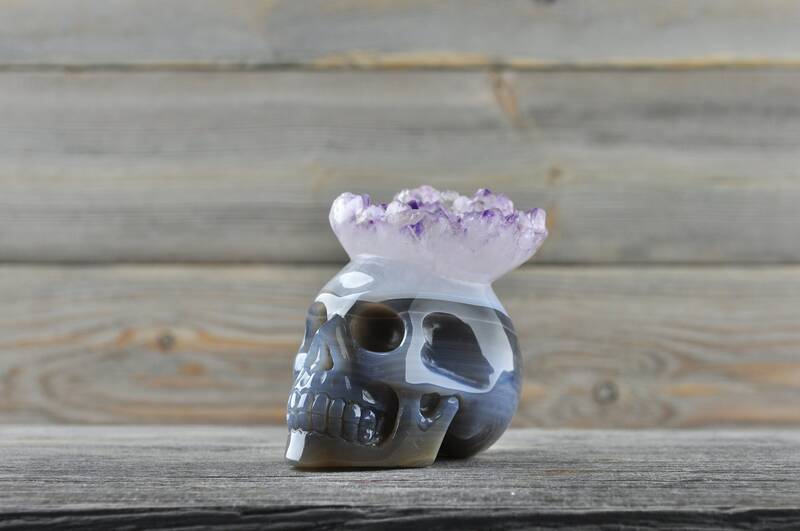 Stunning Natural Amethyst and Banded Agate Geode Crystal Skull! 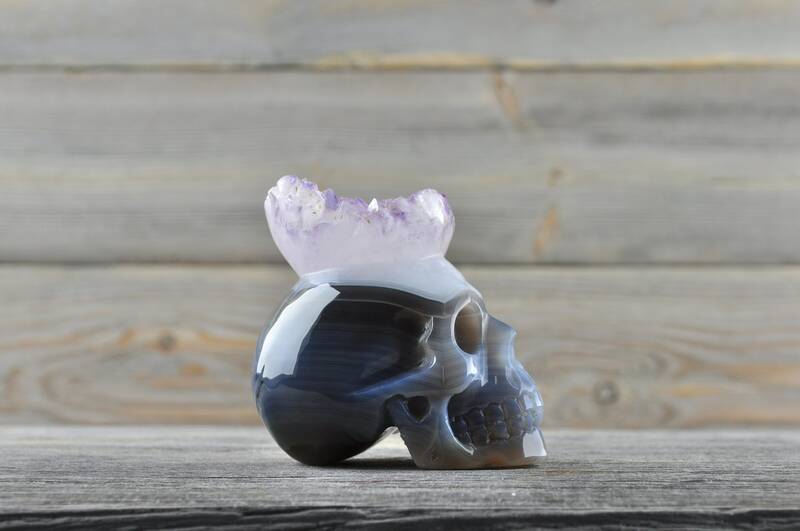 Beautiful Natural Amethyst and Blue Banded Agate Geode Crystal Skull! Gorgeous! 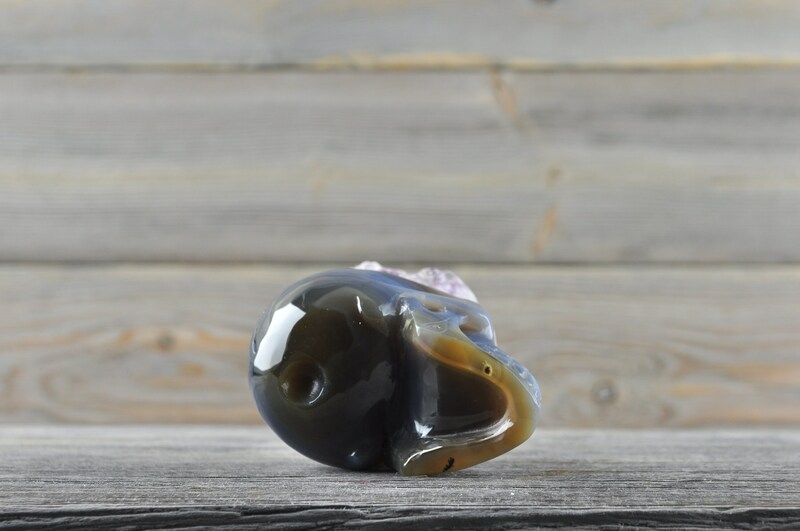 2.87" x 1.93" x 2.36"
Agates are grounding stones, bringing about an emotional physical and intellectual balance. They aid in centring and stabilising physical energy. Agate has the power to harmonise yin and yang, the positive and the negative forces that hold the universe in place. A soothing and calming stone, agate works slowly but brings great strength. Its multiple layers can bring hidden information to light. Agate gently facilitates acceptance of ones self. this builds self confidence. It aids self analysis and perception of hidden circumstances, bringing to your attention any disease that is interfering with your well being. 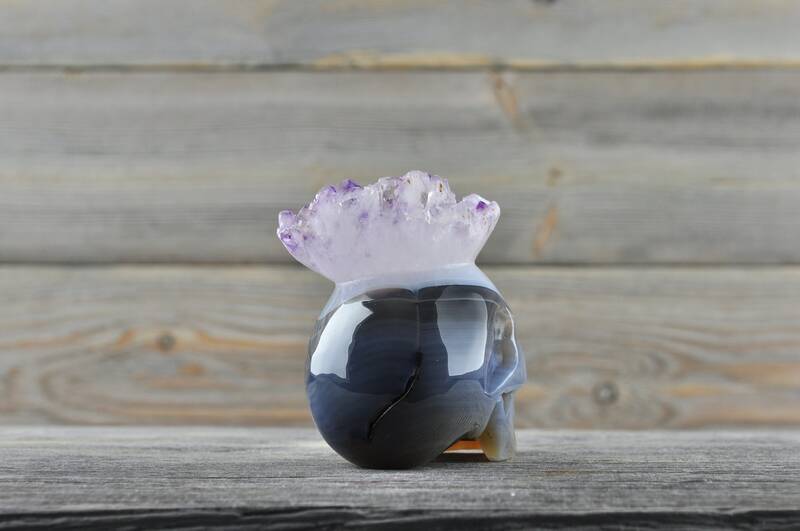 Agates enhance mental function as they improve concentration. perception and analytical abilities, leading to practical solutions. 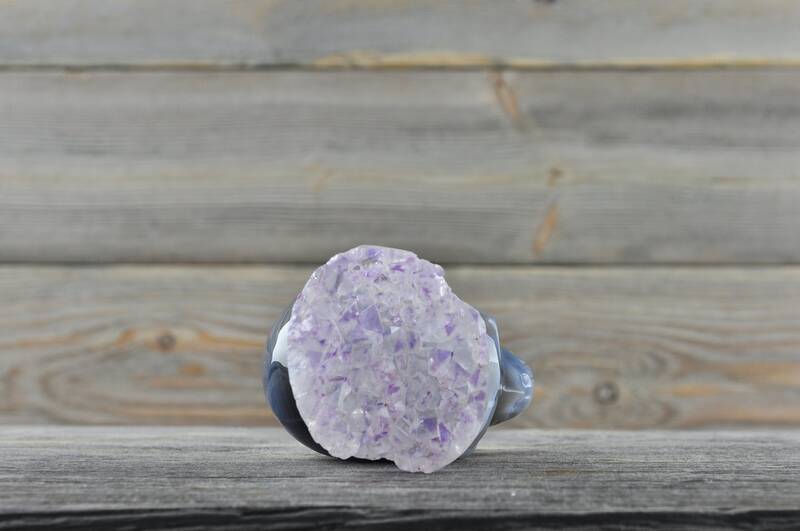 Agates love of truthfulness encourages speaking your truth. 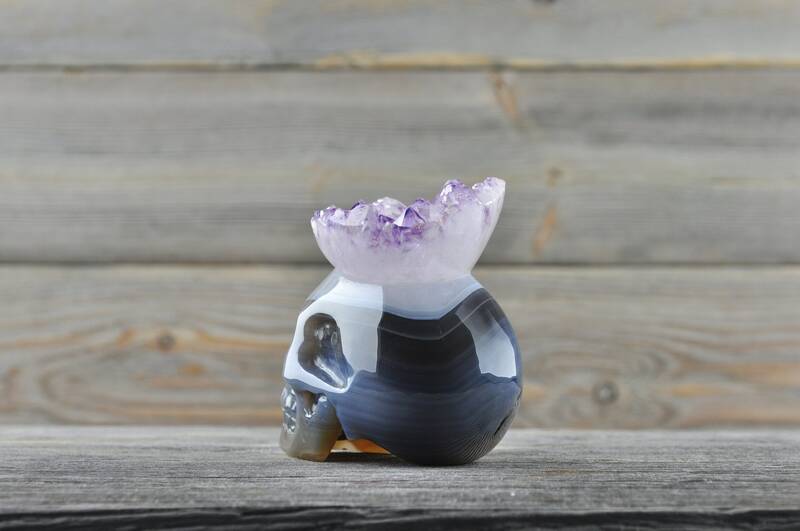 agates with clear crystals can stimulate memories. 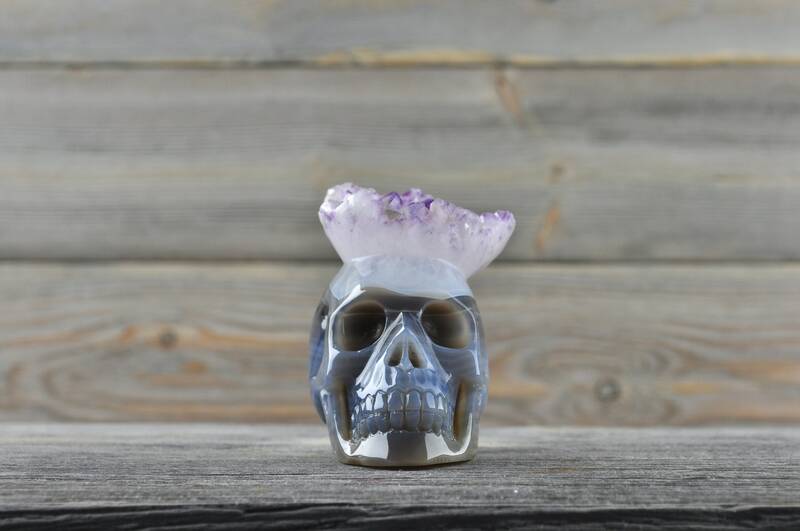 This crystal overcomes negativity and bitterness of the heart. it heals inner anger fostering love and the courage to start again. it is useful for any kind of emotional trauma. It creates a sense of safety and security by dissolving internal tension. Agate raises consciousness and links into collective consciousness and awareness of the oneness of life. 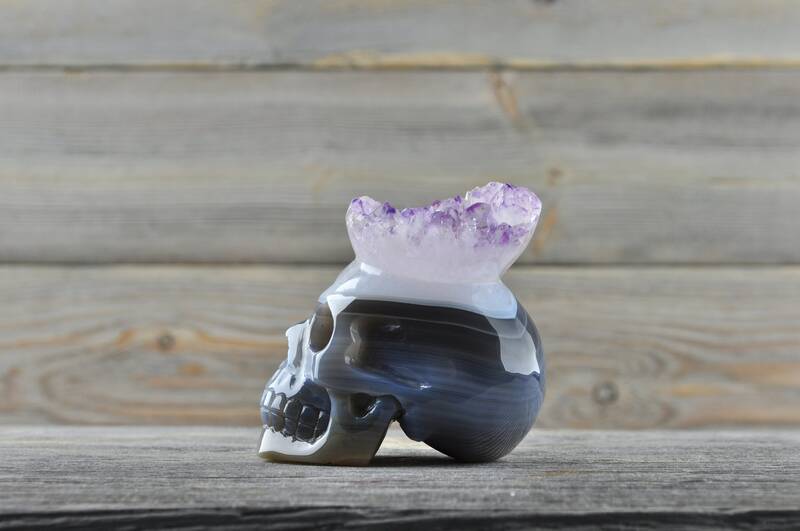 It encourages quiet contemplation and assimilation of life experiences, leading to spiritual growth and inner stability. Agate guards against all dangers; averts lightening and storms; gives strength and victory in all your endeavours; opens the wearer to receive unexpected favours from the deities. If used in sacred rituals as a divine object, it turns the words of your enemies against themselves. It is useful when sudden bursts of energy are needed. 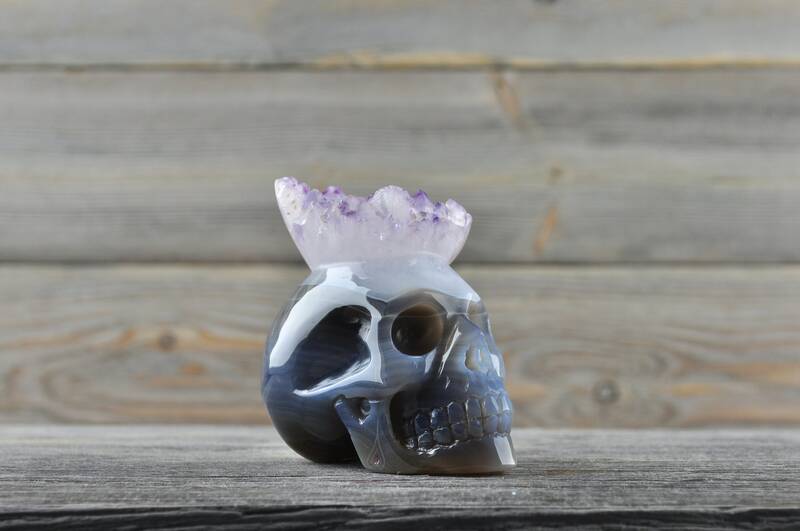 Use as a protection against black magic, troublesome spirits and negative thought forms.